Meet the families who we have partnered with to bring you the very best products from Sonoma and Marin Counties. DGLangley Farms is Family owned and operated since 1998 in Petaluma, CA. Pete Langley has been raising our pork since we really got going in late 2010. He has become a great friend of our company and his new partnership, DGLangley Pork, ensures that the consistent quality our customers count on will be under his care for years to come. BN Ranch can trace its roots back to 1977 when Bill Niman purchased 200 acres in Bolinas, California to raise cattle in a traditional manner, learning the craft from some of the region’s great ranching families. By the 1980s Niman-raised beef was on the menus of high-end restaurants and specialty retailers, and by the following decade Niman’s network of farmers and ranchers had added pork and lamb. In 2007 Bill Niman left his namesake company to start something new. Soon Bill, together with his wife, Nicolette, and their partners launched their new ranch, which is committed to offering sustainably and humanely raised meats, with no compromises. 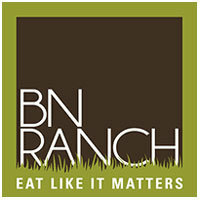 That new brand is BN RANCH. We are excited to work with Bill and his team to offer BN Ranch Beef, Lamb and Turkey at different times of the year. 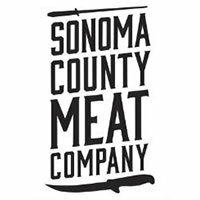 Sonoma County Meat Co is Sonoma County’s only USDA inspected and Custom Exempt meat processing facility. Every day they cut tons of locally and sustainably raised meat. For traditional terrific service and an old school butcher shop, come to SCMC where thay always have trained butcher on duty. Not to mention an amazing smokehouse. Big Bluff Ranch, twenty-five miles from the nearest Northern California town or freeway, sits nestled in the oak woodland savannahs of the Coastal Range foothills. At the ranch, being agriculturalists is not just the occasional choice, it is a conscious lifestyle commitment to sustainability and development of a balanced and viable eco-system for the health of the consumer and the landscape. In the late 1980’s, the ranch family took a leap of faith and make a drastic change to the ranch’s operations. The ranch was transformed from a conventional cow-calf operation to a grassfed direct marketing operation based in holistic management. Today, BBR is a family-run diversified operating unit promoting grassfed and pasture animal management, eco-tourism, and wildlife health. Come see us and experience agriculture and the natural world on a whole new level. Leave your cell phone in the car; it won’t work here. 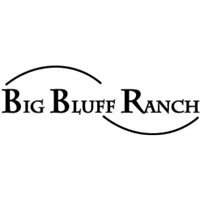 Big Bluff Ranch feeds the body, feeds the soul. 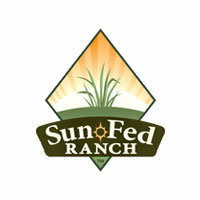 SunFed Ranch was founded by members of ranching families with deep roots in the foothills of the Sacramento Valley and the rangeland of the Klamath Basin between Mt. Shasta and Crater Lake. Their cattle are born and raised in those open spaces where they have adapted to natural weather patterns to grow premium quality grass fed and grass finished beef year-round. 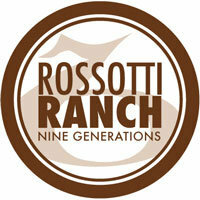 Rossotti Ranch is the newest member of our family of ranchers, but certainly not new to our family. Julie and Tony are long time friends and grew up in the same town and high school as Adam. While veal has been controversial for years, the Rossotti’s have it all figured out and we couldn’t be prouder to have their veal in our offerings. The calves are raised out on pasture with their birth mother as any other beef would be, and harvested right after weaning. This means that there is no additional stress on cow or calf, and they are harvested at the same age as our pork and lamb. The meat is a beautiful rose color and the taste is not to be missed. This is veal you can feel good about eating and be proud to serve!